Businesses today rely on a range of 'back office' information technology systems and those systems need installing, maintaining and periodically upgrading. At Peak Consulting our IT services management is centered around your perspective of the IT system's contribution to the business. Our Hardware support will include anything that has 'got wires going into and coming out of it' from the obvious like the humble telephone, fax machine or printer through to laptops, computer networks, modem/routers, servers and VoIP telephony systems. The not so obvious information technology systems (but perhaps more demanding on your time) like your computer Operating System, Application Software, Security, Virus Protection and Back Up are all supported by Peak Consulting. We understand the urgency and sheer cost of system downtime and so are geared for fast, on-site or remote technical service and flexible or ad-hoc support arrangements. For quick, easy and affordable technical support, or virtually any imaginable computer-related or data communication need, give Peak Consulting a call. Arguably the 'Archilles heel' of many a small business, software applications can cost more in lost productive time than what they supposedly make in efficiency and streamlining of that very same time. This is in no small part due to the aplications themselves and the environment in which they are being used. With Peak Consulting at your side, lost production time due to miss-behaving software, can become a thing of the past. We provide online and Gold Coast wide onsite software support for all Small Business software applications, all at affordable rates. In addition to support, we offer training in those same applications that will prevent further re-occurrences of those same issues. The office computer network is the circulatory system for communications and data transfer both internally and externally, of your business. 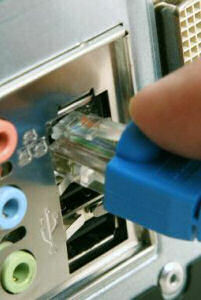 It is then vital to ensure that your network technology is reliable, available and most of all secure. Peak Consulting will help you meet those network challenges - integrating disparate systems, minimizing network downtime, maximizing existing resources, and planning for future growth. We can design, install, manage and support SME and small business computing networks, providing for your technology and business requirements. For a free initial consultation, call Peak Consulting now. Maintaining your IT equipment in a fast changing digital world is not an easy task, especially when you are a start-up or small business. Your time is limited and budgets are stretched so all things IT get sidelined until 'a later date'. Chances are however, those very same pieces of IT equipment are vital to your daily operation and any downtime would come at great cost to your business. With an affordable IT Service Agreement from Peak Consulting, all this becomes a thing of the past. You can choose from an ad-hoc, scheduled or continuous based service agreement and prevent the inevitable. The most important part of a productive and cost-effective work environment is the ability to get help when a problem occurs. Even though computer hardware has become more robust and PC software is becoming more user-friendly, there is still an increasing number of users who require help-desk support! Peak Consulting offers telephone, on-site, remote online or service agreement packages, according to your businesses unique environment. We have a knowledgeable staff of qualified technicians who can provide you with quick solutions to any problem related to your local PC desktop or application environment. If you are not sure whether you have a software problem or a hardware problem, or even a combination of them both; contact Peak Consulting and resolve the problem speedily without taxing your valuable time and your own potential to earn revenue for your Business. Peak Consulting, for all you IT support. Experienced in both Hardware & Software support, complete with onsite visits and telephone helpdesk.